What if these individuals allowed their failures to get in the way of their eventual success? Lance Armstrong ended dead last in his first cycling race? Lucille Ball was told to, "try another profession," when she first took up acting. Robin Williams was voted "Least Likely to Succeed" in his senior class. Walt Disney was fired from his job on a newspaper because, "he lacked imagination and had no good ideas." R.H. Macy failed seven times before his store was finally successful in New York. Elvis Presley was fired after his first performance at the Grand Ole Opry. Babe Ruth also held the strike out record. Michael Jordan missed over 9,000 free throws, lost almost 300 games and failed 26 times on game winning shots. 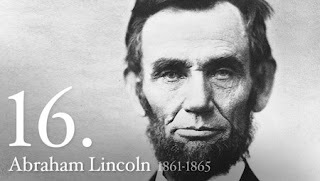 Abraham Lincoln who was elected the sixteenth President of the United States. As educators it is vital that we teach our students to accept failure as a step on the road to success. That, it is in understanding what caused the failure that they can gain insight into what might be the correct path to choose. It is the fear of failure that paralyzes their initiative and they do not continue to progress torward their ultimate goal. An even greater injustice is, if the fear of failure keeps them from making any attempt what so ever. It is the responsibility of the educator to create an environment based upon challenge that does not instill fear and failure that is celebrated as a stepping stone towoard personal success.